President Trump may be a controversial and disruptive president. But in regard to Afghanistan, his frustration with the 17-year war differs little from the sentiments of President Barack Obama or most of the rest of us. Reportedly, he has asked for a precipitous cut of up to half the 14,000 American troops serving there, early this year. That would be a mistake. There is still a strong case to sustain America’s longest war — especially if we redefine it, away from nation-building and toward something more like an enduring partnership with the Afghan people against regional and global extremism. Indeed, Washington should stop looking for an exit strategy and view Afghanistan as one pillar in a broader regional web of capabilities against Al Qaeda, the Islamic State and related movements that show few signs of dissipating. Over time, we can gradually reduce our forces, but we will want selective intelligence and military capabilities in South Asia for many years to come. Al Qaeda and the Islamic State have come to dominate the global jihadist movement, but they certainly do not have a monopoly on this brand of militancy. And in terms of actual state-building, one group — the Taliban — exercised control over a large area long before either al Qaeda or the Islamic State ever grabbed pockets of territory. The Afghan-based movement, in fact, presents a unique case study: Though it shares both al Qaeda and the Islamic State's aim of establishing a state governed by an austere vision of Islam, it remains largely nationalist in its aims, choosing to limit its struggle to Afghanistan. For years, the Taliban have retained a close relationship with al Qaeda (after all, it hosted and protected the latter's founder, Osama bin Laden, at the time of the 9/11 attacks), yet they are not a franchise of the transnational movement. In fact, al Qaeda's leadership has even pledged allegiance to Taliban leader Mullah Haibatullah Akhundzada. With Afghanistan entering a critical year, let's take a look at the Taliban's likely course of action in 2019. The increase in drugs-related crimes in the Philippines and Bangladesh has pushed both governments to adopt a hard-line approach to get rid of the scourge of drugs. Though human rights groups often criticise the tough anti-narcotics measures, undoubtedly there is popular support for it in both the countries. Since Philippine President Rodrigo Duterte took office in 2016, he has made it clear that war on drugs is his top priority. Likewise, Bangladesh under Prime Minister Sheikh Hasina started its crackdown on drugs in mid-2018. However it seems neither the Philippines nor Bangladesh has been successful in eradicating the scourge. Both countries need to adopt a comprehensive and long-term approach. Baidu, Alibaba, and Tencent, the three Chinese tech giants loosely equivalent to Google, Amazon, and Facebook, are not just developing and deploying AI themselves. Their deep pockets have also funded a broad range of AI companies, focused on everything from smart cities to finance to education. Last week, Chinese media outlet Huxiu.com published a graphic that illustrates the full extent of their involvement across China’s AI industry. (The graphic is quite complicated, so I translated it into three bar charts below. Here is also an English translation of the article it originated in, courtesy of Jeffrey Ding, who writes the ChinAI newsletter.) It revealed that BAT invests in 53% of the nation’s 190 major AI companies. This may not surprise those of you who closely follow China’s AI ecosystem. But it’s quite a different topology for those more familiar with Silicon Valley’s. On December 1, Canadian police, acting at the request of U.S. authorities, arrested Huawei Chief Financial Officer Meng Wanzhou during a layover in Vancouver. A judge in New York had issued a warrant for Meng’s arrest on August 22, alleging that between 2010 and 2014, Meng had conspired to commit bank fraud by concealing links between Huawei and two shell companies that it used to conduct business in Iran, enabling Huawei to access the dollar-based financial system in violation of U.S. secondary sanctions. Washington is now seeking Meng’s extradition to the United States. The security environment in the Middle East may be the most complex on earth, with an intricate, volatile and sometimes shifting mixture of destabilizing forces and hostilities. There are deadly power struggles within and between nations. And behind it all is the Middle East’s massive oil production, on which the global economy depends. The United States first ventured into the Middle East early in the Cold War and has remained heavily involved, particularly since the 1970s. Over the decades, America’s policies and partnerships in the region have evolved, but the basic reasons for U.S. involvement in the Middle East remained consistent: preventing a hostile power from using the region’s petroleum reserves as a weapon. To achieve that objective, the U.S. used direct applications of military power when necessary but relied heavily on local allies, from Egypt to the Gulf states, bolstering them with security assistance and weapons sales. Most Continental Europeans are deeply bored by the endless theater of British politics and just want the Brexit issue resolved one way or another. A small minority in Europe, however, is deeply invested in the outcome—though its preferred outcomes are diametrically opposed. Many business leaders and liberals worry that Brexit will leave the European Union poorer, less open economically, and less likely to develop the kind of strategic mindset required for Europe to start taking care of itself. Conversely, for many federalists and other supporters of a “ever closer union,” Brexit will free the EU of a vexing member state that has thwarted the closer integration essential to meeting the challenges facing the bloc. These Europeans’ views obviously reflect differing visions for the future of the EU. But they have one thing in common: They greatly exaggerate the implications of a Britain-free EU. Relations between Iran and the European Union seemed to enjoy something of a honeymoon just after President Donald Trump announced he was pulling the United States out of the 2015 agreement limiting Tehran’s nuclear program. But it is becoming increasingly evident that any warm feelings engendered by a joint commitment to preserve the Iran deal and stand against Trump have cooled significantly. Europe and Iran are now growing farther apart amid accusations that the Islamic Republic is engaging in behavior that Europe cannot countenance. 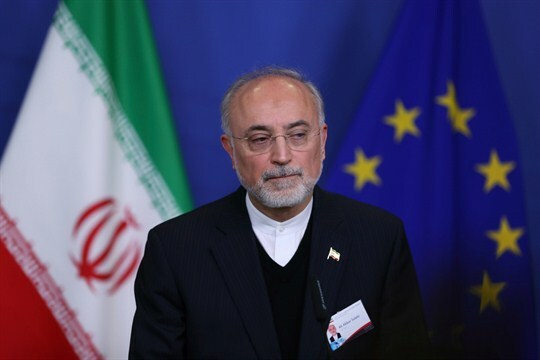 The nuclear deal itself could ultimately collapse in the acrimony. Last May, when Trump announced the U.S. was unilaterally withdrawing from the Joint Comprehensive Plan of Action, or JCPOA—the awkwardly named agreement that was the centerpiece of the Obama administration’s Middle East policy—Europe, along with Russia and China, vowed that they remained determined to prevent the deal from unraveling. A few months later, on the sidelines of the United Nations General Assembly in New York, leaders gathered with Iranian Foreign Minister Mohammad Javad Zarif and issued a statement reaffirming their vow. 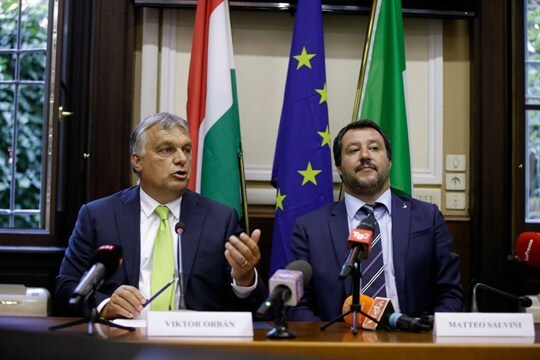 European leaders gathered twice last year to try and develop an EU-wide approach to the still-divisive issues of migration and the integration of refugees, and both times they failed to reach any consensus, yet again. Building on public anxieties around migration, far-right populist parties succeeded in sowing more discord across the continent, with many centrist and liberal politicians having difficulty formulating a response. Can Kim Jong Un Bring North Korea In From the Cold? For nearly a quarter-century, since the fall of the Berlin Wall, the North Korean regime's continued survival has baffled observers. When North Korea’s founding leader Kim Il Sung died, North Korea entered a period of famine that lasted three years and killed hundreds of thousands, if not millions, of North Korean citizens. Yet the regime carried on under his son, Kim Jong Il, and his grandson, Kim Jong Un, currently leads the country, making it the only communist regime to practice hereditary leadership succession—not once, but twice. So how has the North Korean regime remained in power for more than 60 years under the unbroken leadership of three generations of the Kim family? 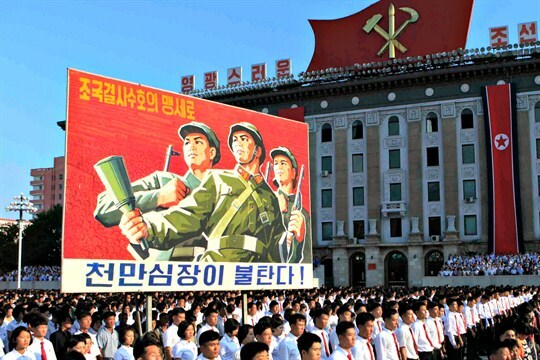 To evaluate the future prospects of North Korea—be it gradual evolution, sudden transformation or collapse—it is critical to understand how the hereditary leadership system has developed historically, its current state and its future prospects. What Happened: The Russian military presented its 9M729 ground-launched cruise missile — the weapon at the center of a dispute between Moscow and Washington — to a crowd of Russian and foreign officials on Jan. 23. With the show and tell, the Kremlin is aiming to demonstrate that the missile is not, as the United States has claimed, in violation of the Intermediate-Range Nuclear Forces (INF) Treaty. Why it Matters: Russia made the presentation of the 9M729 after the country's negotiators offered to provide the United States with more details as to why the missile did not infringe upon the INF Treaty, only for the United States to politely decline. Russia's case rests on a single number on an infographic that claims the range of the missile is less than 500 kilometers, but the United States has claimed that the missile traveled beyond this distance — which would violate the INF Treaty — during initial tests in 2010-2011. Trump to China: ‘I Own You.’ Guess Again. Getting fuel to remote operating bases is a big problem for the U.S. military. In 2008, during the height of combat in Iraq, the Government Accountability Office estimated that more than 900,000 gallons of fuel went to bases for basic power needs like lighting and refrigeration (on top of the 6.7 million gallons the military burned that year in jets and ground vehicles.) The U.S.military’s Strategic Capabilities Office has put out a request for information about small nuclear reactors that could deploy to the sorts of hillside forward bases U.S. troops set up in places like Afghanistan. Recently, a number of signs have emerged that the global economy, which had been running hot over the past few years, is cooling off. One of the latest comes in the form of a Jan. 21 quarterly report from the International Monetary Fund, which has lowered global economic growth projections by 0.2 percent for 2019 and 0.1 percent for 2020. A 0.4 percent downshift in growth expectations over a six-month period marks a significant adjustment. 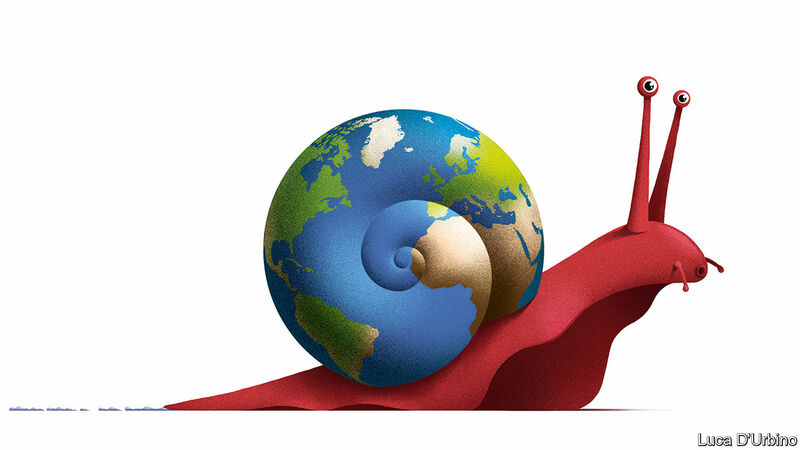 As Stratfor laid out in the 2019 Annual Forecast, geopolitical risks abound for the global economy, a forecast that is running true thus far. But despite the indications and the continued adjustments in the IMF outlook, Stratfor still believes that the global economy will avoid a crisis. Although "there is cause for concern," as we put it, we do expect a soft landing for the economy in 2019. Nevertheless, certain regions face a heightened risk of economic trouble, and we will continue to watch many of them closely. In areas of Europe in particular, the IMF update indicated a more significant decline in expected growth ahead. It dropped its 2019 outlook by 0.6 percent for Germany and by 0.4 percent for Italy. Added to that is the raft of weaker economic data coming out of the China and the partial U.S. government shutdown, which by White House calculations, could cut domestic economic growth by 0.13 percent for each week that it continues. The United States and Venezuela's government opposition will increase pressure on the administration of President Nicolas Maduro in an attempt to further divide the country's ruling elites. U.S. punitory measures, such as an oil import ban, will drive some military officers and key officials to consider pushing Maduro from office to avoid heavier sanctions and ease internal competition for scarce revenue. The severity of Washington's approach, combined with the Venezuelan government's reluctance to voluntarily step down, make a violent exit for Maduro increasingly likely. Venezuela is heading toward a chaotic, violent transition of power. The government is fighting a losing battle against declining oil output and its own voracious political elites. Low oil prices, high government spending and extreme corruption destroyed Venezuela's energy sector — the country's sole source of export revenue. Without vast sums of oil money to line their pockets — and fund populist social programs — Venezuela's powerful political leaders have no choice but to compete for what's left of the revenue. And what's left will not be enough to keep all of them happy for long. Irreconcilable differences are fast emerging. Impelled by U.S. sanctions and more intense opposition protests, divisions among the country's rulers are widening. The key questions to ask at this stage are how will members of the Venezuelan government settle their differences — and when. When it comes to cybersecurity, the four-year prognosis laid out by the Untied States intelligence community is stark. 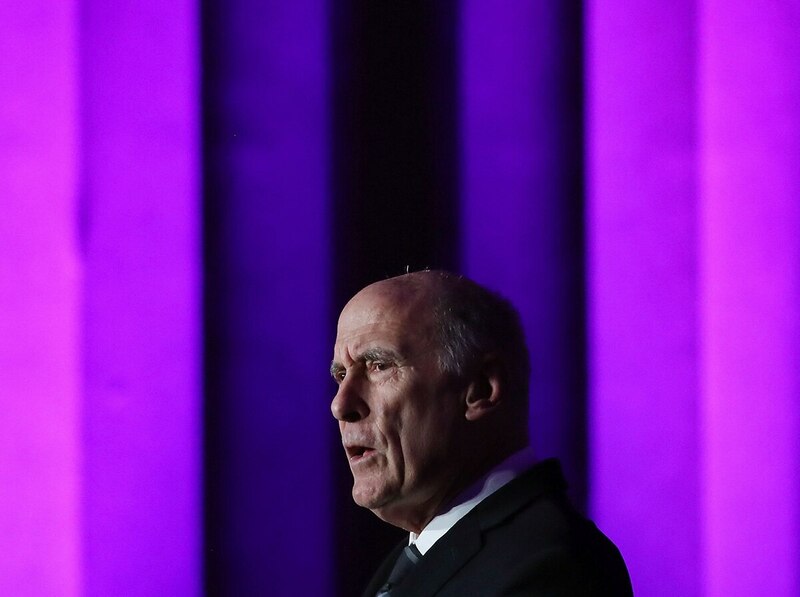 “Nearly all information, communication networks, and systems will be at risk for years to come,” the 2019 national intelligence strategy reads. The strategy, which was releasedJan. 22 by the Office of the Director of National Intelligence, is a four-year road-map for the American intelligence community. While the strategy touches on other topics, such as counter-terrorism and counter-proliferation, cybersecurity is listed as a top priority. “As the cyber capabilities of our adversaries grow, they will pose increasing threats to U.S. security, including critical infrastructure, public health and safety, economic prosperity, and stability,” the document reads. France made headlines on Jan. 21 for fining Google US$57 million - the first fine to be issued for violations of the European Union’s newly implemented General Data Protection Regulations. GDPR, as it’s called, is meant to ensure consumers’ personal information is appropriately used and protected by companies. It also creates procedures to sanction companies who misuse information. 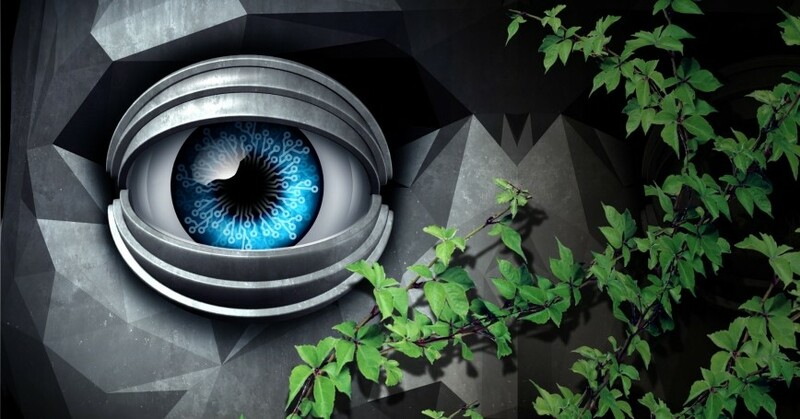 Companies that are ready for the EU’s General Data Protection Regulation (GDPR) have reported shorter sales delays and fewer or less serious data breaches, according to Cisco’s 2019 Data Privacy Benchmark Study. The study uses data collected for Cisco’s Annual Cybersecurity Benchmark Study, for which over 3,200 security professionals from around the world were surveyed. Privacy-related questions were addressed to more than 2,900 of them. The Data Privacy Benchmark Study shows that organizations that have invested in customer privacy requirements, mainly to become GDPR compliant and to avoid fines and penalties, are seeing some benefits beyond GDPR compliance. According to Cisco, 59% of respondents said their organization had met GDPR requirements and 29% expect to become compliant within one year. Techies pride themselves on their optimism. It couldn’t be any other way. After all, Silicon Valley was built on the idea that technology is a force for good. In the nearly nine years I’ve spent covering tech, we’ve watched these dreamers and idealists transform society. Underlying it all is the notion that information wants to be free, that the more we share, the better off we are. That was the deal we made with companies that promised to connect the world. Does the U.S. Face an AI Ethics Gap? Members of Congress, the U.S. military, and prominent technologists have raised the alarm that the U.S. is at risk of losing an artificial intelligence (AI) arms race. China already has leveraged strategic investment and planning,access to massive data, and suspect business practices to surpass the U.S. in some aspects of AI implementation. There are worries that this competition could extend to the military sphere with serious consequences for U.S. national security. During the prior Cold War arms race era, U.S. policymakers and the military expressed consternation about a so-called “missile gap” with the USSR that potentially gave the Soviets military superiority. Other “gaps” also infected strategic analysis and public discourse, including concerns about space gaps, bomber gaps, and so forth. Echoes of gap anxiety continue today. The perspective that the U.S. is in an AI arms race suggests another gap—an AI “ethics gap” in which the U.S. faces a higher ethical hurdle to develop and deploy AI in military contexts than its adversaries. As a result of this gap, the U.S. could be at a competitive disadvantage vis-à-vis countries with fewer scruples about AI. SAN FRANCISCO — In October, the Chinese province of Guangdong — the manufacturing center on the southern coast that drives 12 percent of the country’s economy — stopped publishing a monthly report on the health of its local factories. For five consecutive months, this key economic index had shown a drop in factory production as the United States applied billions of dollars in tariffs on Chinese exports. Then, amid an increasingly bitter trade war between the United States and China, the government authorities in Beijing shut the index down.